Equivalent value–the cost of an alternative activity that a beneficiary could have paid for in order to achieve the same outcome. Contingent value–the self-reported value of an outcome by a beneficiary. Travel cost method–an implicit method where the beneficiary indicated how far they would travel to obtain the same outcome. The value is how much it would cost to travel this distance. 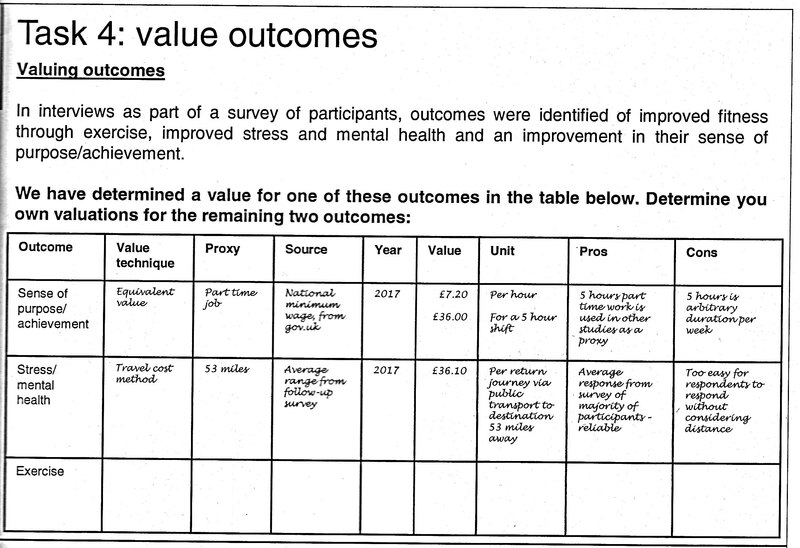 National surveys–the Family Resources Survey (FRS) or other national surveys indicate how much familes spend on average for certain activities/outcomes, which can be used as a value for a given outcome.